Laura Fredrick operates Laura’s Princess Appearances to provide princesses at children’s birthday parties, businesses and other events. Mt. Laurel native and current resident of Marlton Laura Fredrick wears many hats, or crowns, for her work at Laura’s Princess Appearances — her business that provides as well-known princesses for appearances at children’s birthday parties, businesses and other events. 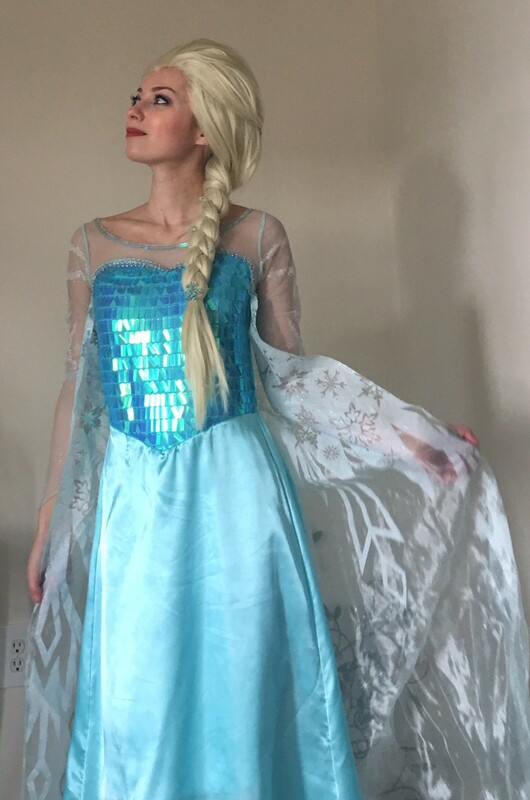 Many young girls might have dreams of growing up to become a princess, but for 28-year-old Laura Fredrick, with her blond hair and blue eyes, being a princess isn’t just a fantasy — it’s also a way to pay the bills. Since March of last year, Fredrick has owned and operated Laura’s Princess Appearances — her own small business where Fredrick and employees will appear as well-known princesses at children’s birthday parties, businesses and other events. During the appearances, Fredrick and her fellow princesses will immerse themselves in their roles, copying the hair, makeup and costumes of a given princess, while also learning their backstories and mannerisms. 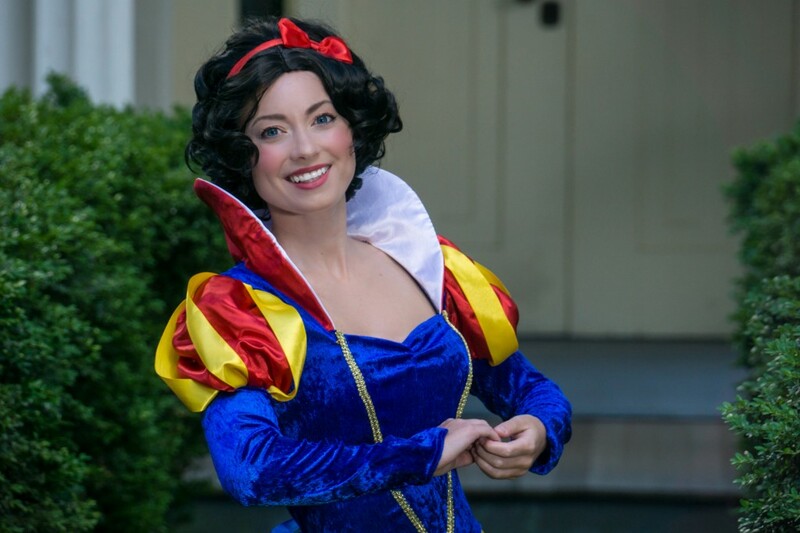 In addition to looking and acting the part, Fredrick and her princesses will play games, hand out prizes, sing songs, answer children’s questions and lead an assortment of other princess-related activities. Fredrick, who majored in broadcast journalism at Rowan University and runs her own public relations company during the week, said it was on the set of a television commercial during some modeling work where she first learned about the world of professional “princessing” from another model. Although Fredrick said she wasn’t any more or less a fan of princesses as a girl of her generation growing up, she decided to start researching princessing as a possible career opportunity. “I didn’t know how, but it was something that I figured on the side of my PR company that I could also start and achieve more financial stability,” Fredrick said. Laura Fredrick promotes just one of the many princesses offered by Laura’s Princess Appearances. Fredrick, a Mt. Laurel native who now lives in Marlton, said she was further encouraged when she learned there were no other princessing companies in the Marlton-Mt. Laurel area that were also affordable to the average family. With advertisements on Facebook and word of mouth, Fredrick said families responded to her business in short order, and by April, Fredrick said she was booked for at least two parties every weekend. As she received requests for appearances by different princesses, Fredrick said she reinvested some of her company’s earnings into purchasing an additional 10 costumes, while at the same time accepting as many bookings as possible to avoid gaining the reputation of being difficult to schedule. By summer, Fredrick said she was booked for as many as five parties a day on the weekends, which led to her packing all of her costumes and supplies into her car during the morning and making multiple stops at the restrooms of coffee shops for quick costume changes. “It’s not like the parents say ‘oh she’s one person, we’re going to book her for one princess all day long’ and make it easy on me,” Fredrick said. By December, amidst never seeing her family on the weekends and household chores piling up, Fredrick said she made the difficult decision to expand her business by bringing on additional help. Laura Fredrick tries to bring a little bit of magic with the visits from her company Laura’s Princess Appearances. However, Fredrick said her need to hire came at an opportune time, as Disney and other companies have been introducing more ethnically diverse princesses, in addition to already having princesses with features she can’t quite mimic. In her research on other princess companies, Fredrick said she learned of criticisms against princesses who were more concerned with standing in the background and posing for photos, rather than entertaining children. In turn, Fredrick said imparting that same philosophy to children has almost become a second mission of her business. Fredrick said she wants young girls to see princesses can still be real people, with the girls learning it’s OK to have fun, and it’s not always about looking perfect. Even before offering mini-makeovers at parties, Fredrick said she always tells the girls that “everyone is beautiful without makeup,” and the makeover is just for fun. Laura Fredrick stands frozen as she promotes a princess from her company Laura’s Princess Appearances. Fredrick said Laura’s Princess Appearances recently had its busiest weekend yet with 10 appearances scheduled, and she even recently signed a contract to handle all appearances for events at the Pop Shop in Medford. Fredrick said she employees 14 people, including recent hires of two men to help fill roles as princes and a planned upcoming introduction of more male characters such as superheroes. Laura’s Princess Appearances start at $75 per hour, with a one-hour party including a visit from a princess of choice, a tiara for the birthday girl, a musical game with 12 complimentary prizes, storytime, group photos, individual photos, a Happy Birthday Song and dancing with the princess. Longer visits and additional activities are also available. For more information, search Laura’s Princess Appearances on Facebook, call (856) 630–6331 or email fredri33@gmail.com.